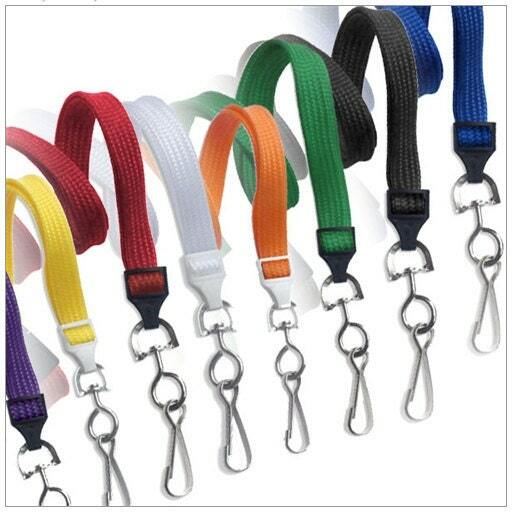 The premium breakaway lanyard with a metal swivel hook is an excellent choice for any occasion. These are 36" in total circumference and have 3/8" flat braids that rest softly along your shoulders. 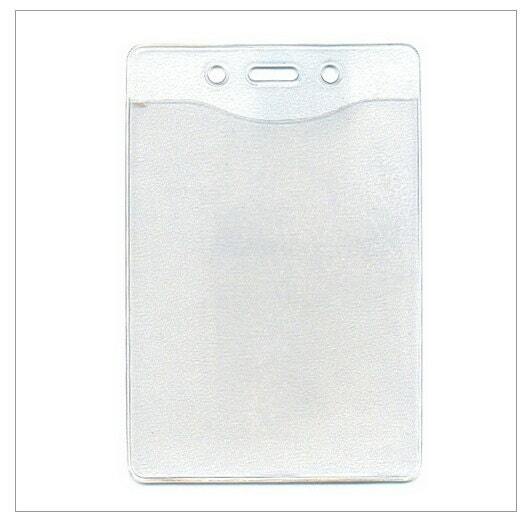 The nickel plated metal swivel hook can hold any slot punched photo ID, ID badge, pass holder, extra large ticket holder, and more. This lanyard also has a built in plastic breakaway feature for added safety, making this a great choice for students, security officials, athletes, factory workers operating machinery, and anyone else being required to wear a lanyard. When the lanyard comes under pressure, the person wearing the lanyard will not be choked because the lanyard will simply snap apart. Afterwards it can be snapped back together just as well. 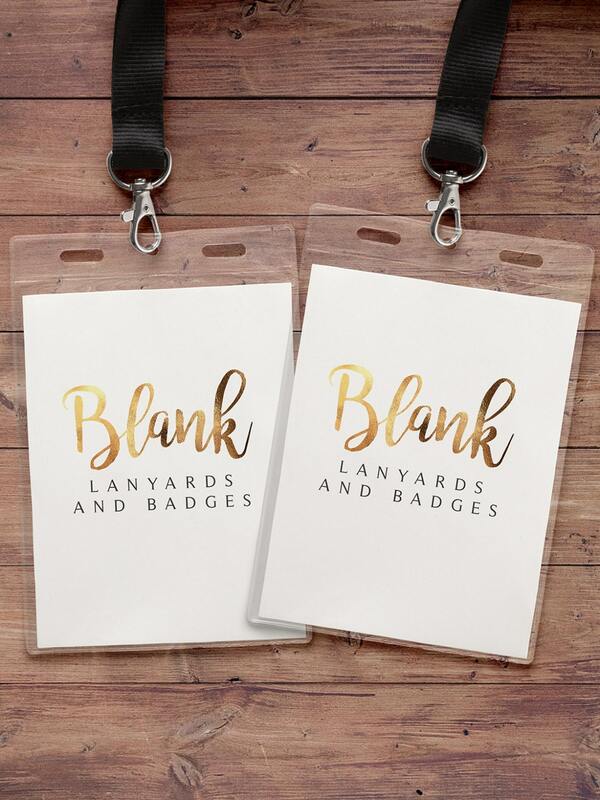 With 10 different colors to choose from feel free to match your lanyards to your theme colors, or the color that you like best. These fit the invite perfectly! Great added touch!